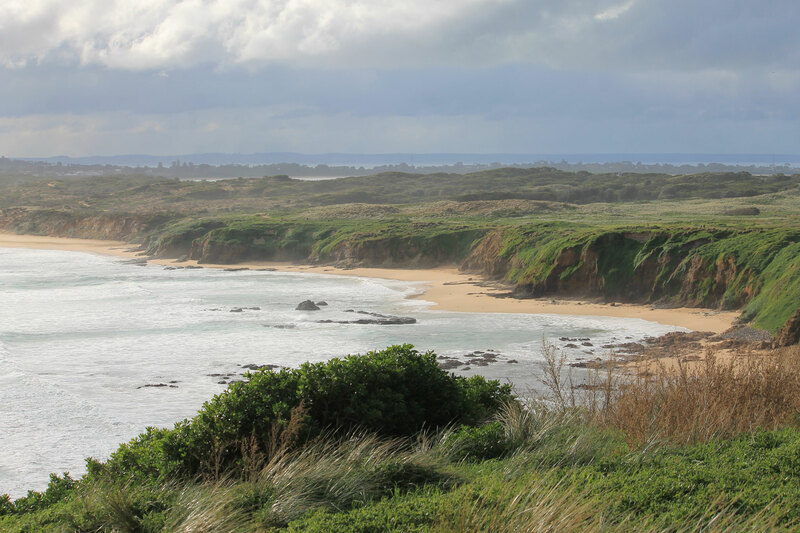 The middle of winter here in Victoria marks the arrival of Humpback Whales, Southern Right Whales and Orcas to our easterly coastlines, as they migrate up to Queensland's warmer waters in Australia. They even have their very own festival. 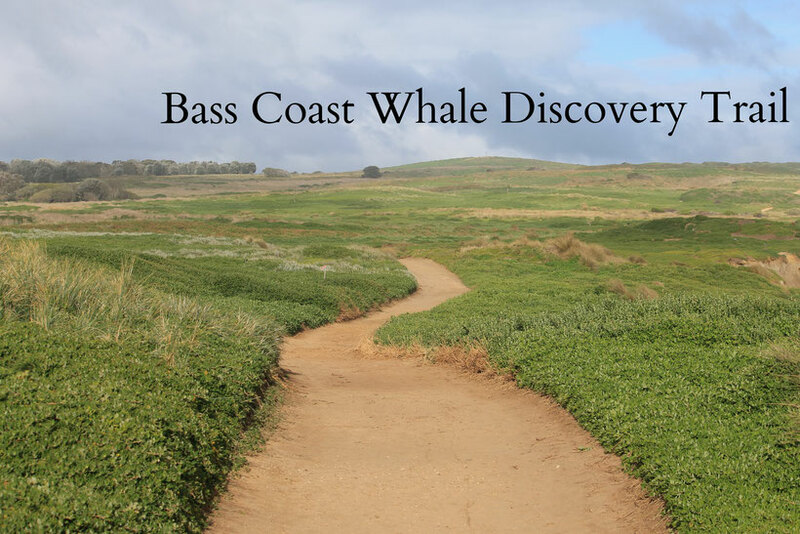 This year the "Bass Coast" region launched its "Whale Discovery Trail", which invited hundreds of people to go whale watching from land points all across the area. 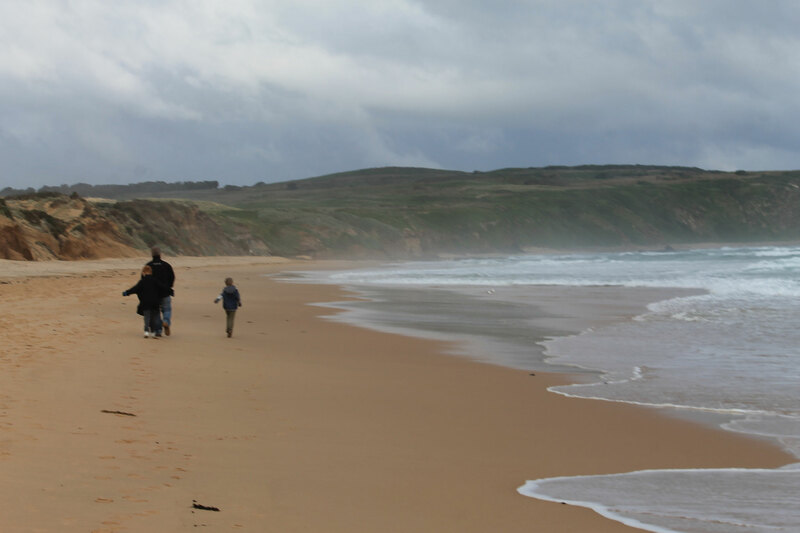 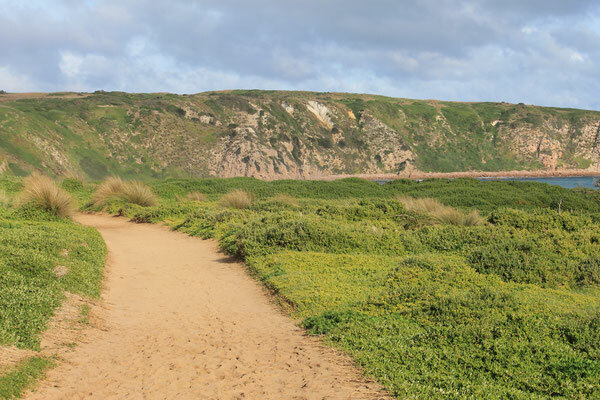 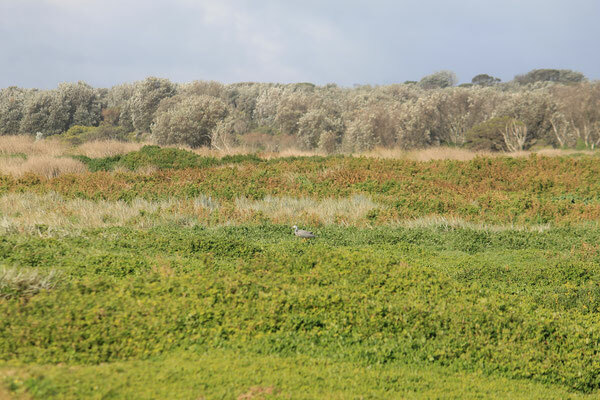 The trail stretches from Bunurong Coastal Reserve between Inverloch and Cape Paterson to a number of prime locations on Phillip Island such as Cape Woolamai and Pyramid Rock, where we had decided to venture to. From May- October the Humpback and (rarer) Southern Right Whales migrate from Antartica, along our coastline, up north to warmer waters off the Queensland coast for calving, before returning to Antartica again in spring. 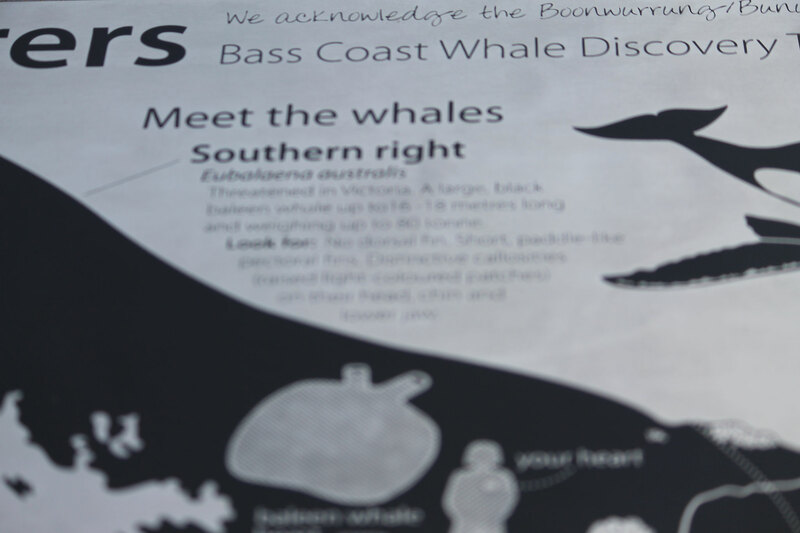 It provides Australians that live right along the whole south Eastern coast for a unique opportunity to see these beautiful creatures up close by land or by sea, there are many eco-wildlife cruises that check in on them as they journey up. 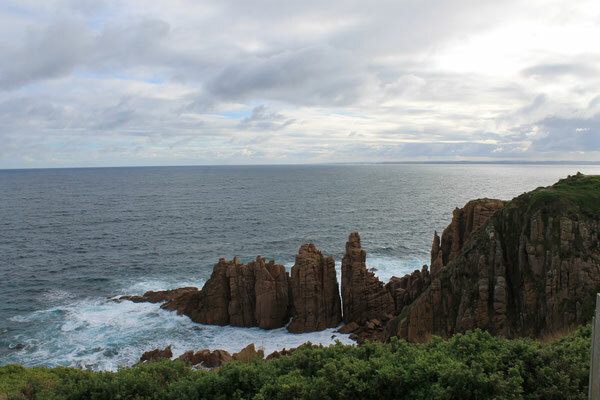 We had the opportunity to meet a marine biologist at the Cape Woolamai Lookout to learn how to spot whales from land. 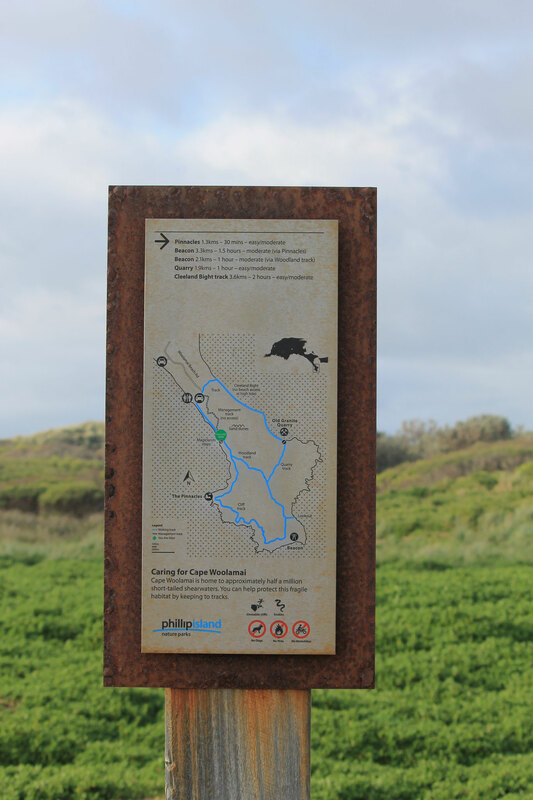 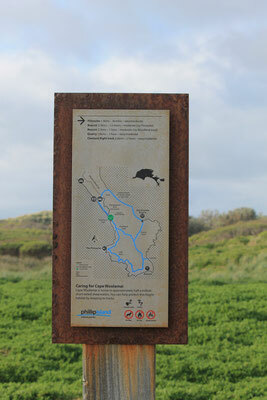 However, there has been brilliant signage erected all along the coastline with similar information and you can also download the "Whale Discovery" brochure before you head off in search of whales. 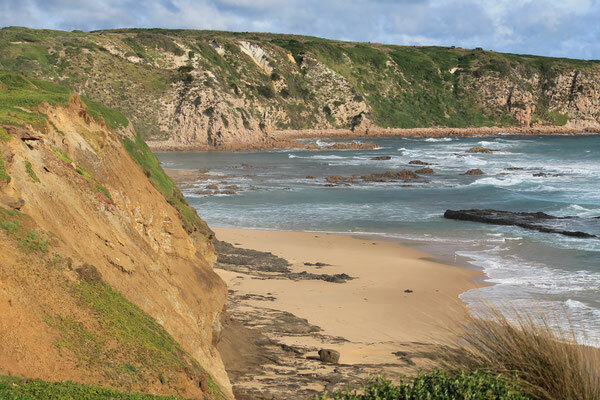 Even if you do not glimpse a whale, the Cape Woolamai walk itself is a pleasure to take, with amazing scenery and a challenging climb up the cliff face steps with lush green vegetation which was stunning on a warm winters day. 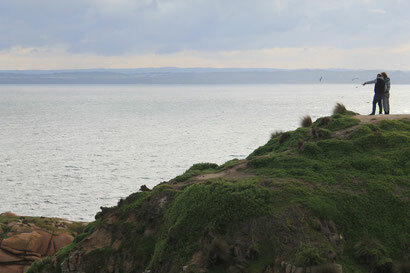 Called the Magic Lands, one a hazy day the walk up the cliff face was just that. 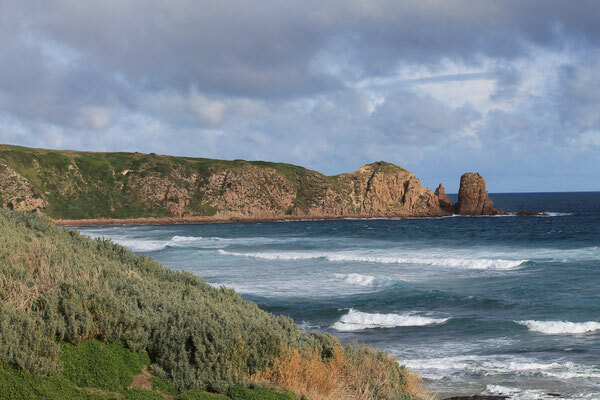 The scenery was breathtaking as the mist gusted in and out over the majestic cliffs and when the sun hit the water it shimmered a silver colour. 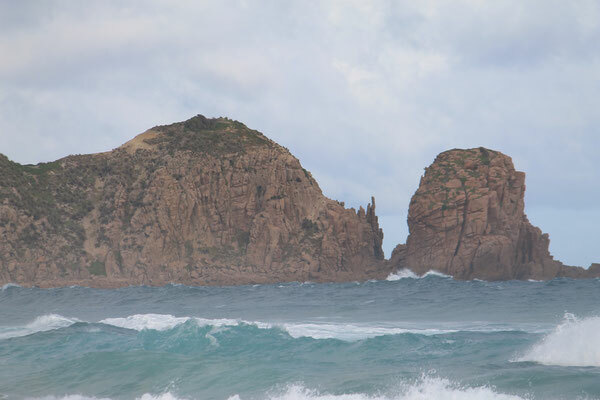 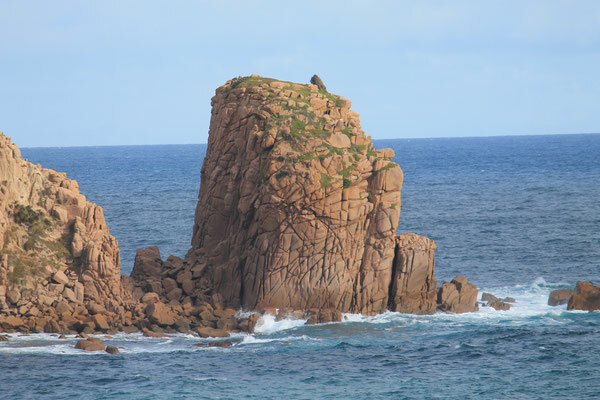 The basalt rock formations called "The Pinnacles" is located at the end of the Cape, providing amazing coastal views across the island and waters. 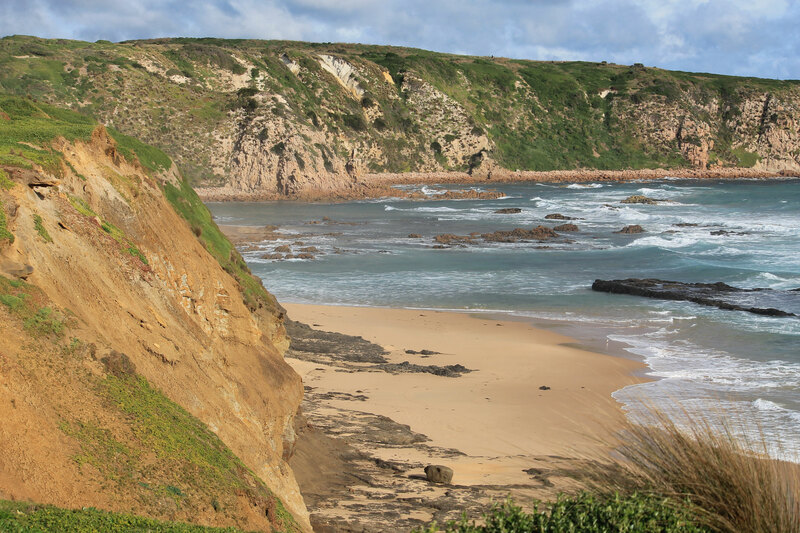 The Cape Woolamai trail extends further southwards along the top of see coastal cliffs, then loops back, providing a walking trail that takes 4 hours to complete at a leisurely pace. 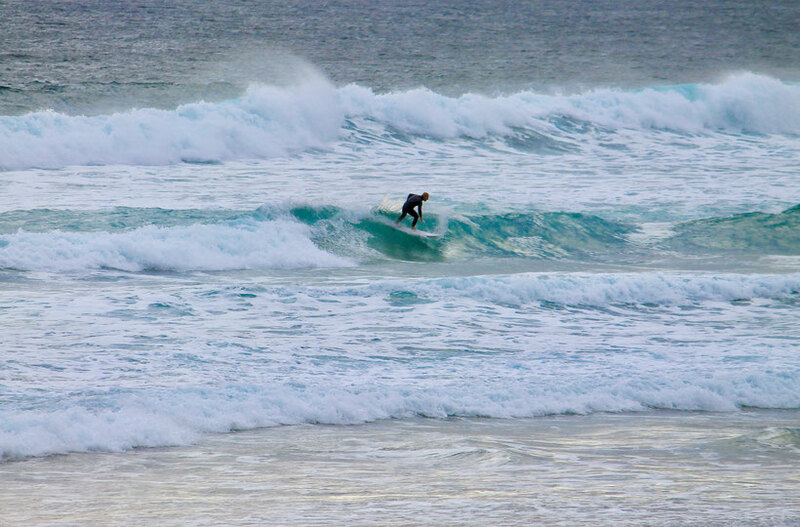 Even though no whales were sighted by our bunch, we did spot some brave evening surfers as we were leaving, even though it was a chilly 5 degrees in the evening. 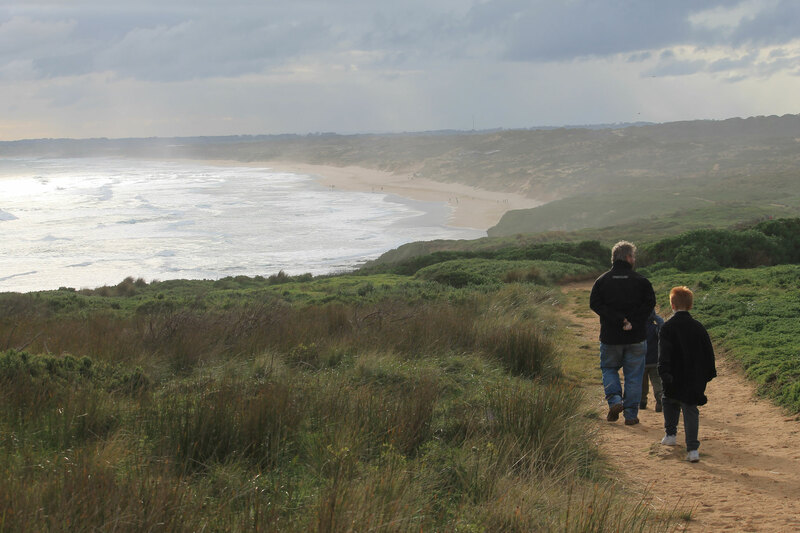 We enjoyed the scenery immensely and look forward to our next adventure up the Magic Lands Cliffs. First published 15th August 2017.